Allow me to make an exception from the \"light\" subjects which ought to be discussed in a Cafe and talk a bit about the single most talked about subject of our days, the one of the oil price, on which I read a lot of misinformation. Without going into technical details of how financial markets (where I\'m an active participant for many years) work, I\'ll just share my firm belief that the current oil prices (late Sunday pre-market trading $73.25 at NY as I write these lines) is a huge, giant con-job, going on for several years now. Despite what the Media (of mass deception, as I always call them) would want you to believe, this is not an issue of supply/demand at the physical market, but PRIMARILY a financial phenomenon. For the past few years, untold billions are flowing into long-only commodity funds, which invest in the derivatives markets. 4/ and to follow the trend. In protecting savings, oil and base metals like copper may be better alternatives than gold, because of the almost price insensitive, inelastic demand (you *will* find someone to buy it from you), let alone tax treatment. It\'s all happening at the futures markets of NYMEX and IPE, despite a GLUT of oil at the physical side. It has NOTHING, ZERO, NADA to do with current supply and demand issues. Oil still costs $1.5/bar to OPEC producers (and about $6/bar for non-OPEC producers), when it was sold for $5-$10/bar in 1999. So, why wouldn\'t someone buy the extra 2M bar/day offered by OPEC and bring this market down? The problem is that due to how the oil contracts are defined, it\'s practically impossible to do any MEANINGFUL arbitrage, which would bring the two markets (futures and physical) back in sync for the current contracts. The big trading houses (investment banks) are making $$$ like bandits (look at where most of the their revenues come from) and so do the oil companies and oil producing nations. Even \"investors\" in oil make money, but only as long as this price rises, because they\'re charged huge \"carrying costs\". BUT, almost everyone else is getting scr*wed. Politically speaking, I think \"investors\" (mostly westerners) are shooting themselves in the foot. The windfall profits made by oil producing nations mean that in the next few years, will not only result in Arab states record buying of e.g. Boeing planes (as has been the case sofar) but more of \"XYZ (e.g. UAE) Investment Authority\" buying toll roads, ports, companies etc in US, EU etc. Overall, IMO, the lack of action by Western leadership against this is nothing short of criminal. Ofcourse I wouldn\'t expect any better from people who are having their country mortgage its future (borrowing from the future) to fund its overconsumption today. What Buffet called \"sharecropper society\" a year ago. Ordinary people have faith that their government is doing the best for them and that the media is actually informing them. If all you hear from the media (which IMO are just shills for those making $$$ from this) is that oil is going up because the world is running out of oil, or because China etc is using so much, then you accept $70+/bar oil like a \"natural disaster\". 2/ US Strategic oil reserve (SPR) have been filled up 100% between 2002 and Aug-2005, for >700Mbar, (a questionable move, which many think contributed to oil price spike). Before, the SPR was being slowly filled by the US govs since the 1980s. 3/ The physical (\"wet barrel\") market is well supplied. In fact, physical world oil demand is flat to down. OPEC has been saying for YEARS that REAL, PHYSICAL demand is NOT there and e.g. nobody took up the extra 2Mbar/day capacity offered after 4Q2005 (Katrina). OPEC: Is world running out of oil? \"The National Development and Reform Commission said recently that China\'s dependence on oil imports was 42.9 per cent in 2005, 2.2 percentage points lower than in 2004. It also said China consumed 318 million tons of oil last year, 1.08 million tons less than in 2004.\"
So, from the lack of real action for 3+ years now, I can only conclude there is some hidden agenda behind accepting the broken price discovery mechanism in oil market today and that despite what they claim in public, the people in charge are happy with the rigging of oil price and its consequences. My 2 cents for anyone who wonders. Message 17670 - Posted: 5 Jun 2006, 14:09:53 UTC - in response to Message 17630. Interesting read, thank you! Although I studied economics the mechanics of stock exchanges still remain a mystery for me. I know it\'s all about perception and expectations but that does not make it easier to understand. There is one upside on the current price surge: It increases energy costs thus creating an incentive to reduce energy consumption. If we want to keep the global warming under control we must reduce CO2 emmissions. Higher prices can only help achieving this (though higher prices especially hurt developing countries which is not good). Very interesting. Thank you. Even though I am not that affected by gas price, I work in Saudi Arabia, my home country is definitely suffering from this \"greedy\" oil price maneuvers. Any hope? What do you think? Steve Forbes, editor-in-chief of Forbes magazine, predicts that skyrocketing oil prices are just temporary -- and a massive price collapse will dwarf the Dot-Com crash that began in 2000. In Sydney, Australia this week for a global conference of CEOs, the respected financial editor said the that the price of oil has inflated into an unsustainable and speculative market bubble - and he says that when this bursts, it will make the Dot-Com crash \"look like a picnic.\"
The paper quotes Forbes as saying that the price of oil (which rose above $70 this week) had been inflated by speculators and would soon begin a rapid slide. \"While there is a lot of talk in my country, the U.S., about the housing bubble, I think the real bubble, to be blunt, is in the price of oil,\" he said. \"It\'s a huge bubble. I don\'t know what\'s going to pop it, but eventually it will pop. The price has to be bought down to earth, and when it does there\'s going to be a lot of yelping from the hedge fund managers.\"
Forbes said that speculation on oil hitting $100 a barrel was misplaced. \"(But) if it does, the crash is going to be even more spectacular and will make the tech bubble look like a picnic,\" he said. He also believes that the price of oil will decline significantly in 2006. \"I\'ll make a bold prediction: I think in 12 months, you\'re going to see oil down to $35, $40 a barrel,\" Forbes said. \"In the meantime, it\'s a huge drain, more a psychological drain (on the economy), but it\'s not forever. This thing is not going to last.\"
Forbes blames the oil price spike on rising inflation and aggressive buying on the part of burgeoning Pacific Rim countries. \"China and India are buying more of the stuff. As the global economy expands, more energy will be consumed,\" he said. \"But if you look at the price of oil three years ago, it was $20 or $25 a barrel. Supply and demand might have shot it up to $30, $35 a barrel. The rest of it is inflation.\"
Forbes spoke to The Australian just as news was drifting in regarding the damage sustained to the oil-rich Gulf of Mexico in the wake of Hurricane Katrina. Industry observers say that energy companies such as BP, Chevron and Shell have been forced to shut down offshore platforms, which account for 25% of U.S. domestic oil and gas output. This is a great post glad someone sees the truth about how the oil market works. Do we need to bring down CO2 emissions no doubt. IS global warming real doubt it. As 70 % of the so called scientist that proclaim global warming now 20 years ago were professing we were heading into a ice age. Tralala the high prices of oil wont force peopel out of thier cars. Look at how much it has cost in Europe for gas per litre for years they still drive just a little smarter than we do here in the USA. Message 18346 - Posted: 10 Jun 2006, 5:16:12 UTC - in response to Message 18344. PS: I had to cut down some of the info I sent here in this thread, as the article otherwise would get too long. Feel free to copy it to people who might be interested. Message 18515 - Posted: 12 Jun 2006, 14:53:35 UTC - in response to Message 17908. I think we need to abandon oil and move on to something else like Hydrogen as oil fields get depleted and it is bad for CO2 emmissions. Btw, substitutes currently used instead of oil (for economic reasons) are even more damaging to the environment, e.g. 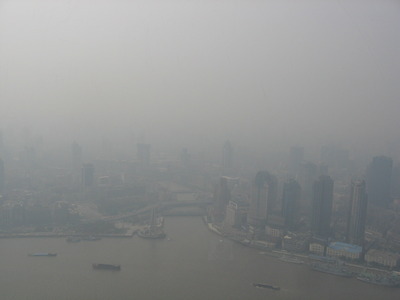 photos of Shanghai air pollution from Pearl Tower. You would think it was dusk, but not the case, 14:00 in the afternoon. Physical (\"wet barrel\") market is drowning in oil. In an interview after a meeting here of the Organization of Petroleum Exporting Countries, Ali Naimi said other cartel members are having trouble finding buyers for all the crude they are producing, at a time when global stores are near full and many refiners have closed facilities for routine maintenance. One Saudi official said an estimated three million barrels a day of refining capacity is out of action and unable to process crude, at a time when the world is using some 84 million barrels a day of oil products like gasoline and jet fuel. \"It\'s not just heavy oil. Even light oil is having problems\" finding buyers, Mr. Naimi said, referring to premium grades of crude known as light crude that are highly prized by refiners because they have high gasoline yields. Asked if the kingdom was easing up on supply because of concern about the buildup of inventories in the U.S. and other importing countries, Mr. Naimi rejected such a motive, replying: \"At $70 a barrel?\" Mr. Naimi suggested that producers will sell all the oil they can at such high prices. The implication of Mr. Naimi\'s remarks is that Saudi Arabia would again open its oil spigots when buyers ask for more oil. For the past two years, the Saudis say, their policy has been to sell as much oil as buyers want, to the limit of the kingdom\'s production capacity. One more week ended with oil at $70/bar (it has \"stabilised\" at 70-75 for the past 2 months). I\'m copying some comments from mainstream media, on the issue of speculation in oil. He makes a good point, that very often people discuss the irrelevant \"fixes\", not the problem. Although, as I explained many times, the real problem isn\'t speculation (which is a useful transfer-of-risk service), but the FAULTY pricing system for oil which is being taken advantage of. So we have a situation where oil price goes up and up and at the same time oil producers can\'t find buyers for their oil (even light sweet crudes, just in case one wonders). Recently (Apr-06) Saudi Arabia reduced production by -400,000 barrels/day (from 9.5Mbpd to 9.1Mbpd) because it could find no buyers for it. It’s time to speak the truth. No more disingenuous questioning and wondering. No more exasperated resignation. We know the reason why oil prices are high, and it’s time to admit it and do something about it. Oil prices are high because of speculation, pure and simple. That’s not an assertion, that’s a fact. Yet rather than attack the speculation and rid ourselves of the problem, we flail away at the symptoms. High gasoline prices? Oh, let’s use hybrid cars, or drill in the Rockies or off the California coast. How about doubling the use of ethanol, even though it costs more to produce than the energy you get out of it? Then again, we can go to Alaska, or build more refineries, or triple the number of nuclear power plants. Sound good? What if we just stopped the speculation? No, you can’t do that! That would be interfering with the “free” market. Hey, the “free” market is starting to get awfully expensive. Tell me, how is it free when speculators rule the roost? It’s one thing when they do what they do with pieces of paper called stocks, but it’s another when they do it with a vital commodity like oil. We saw the devastation their behavior wrought in the 1990s, and we’re witnessing it again right now. If arbitrage in oil would work as in almost every other market, then I could e.g. buy those extra 400,000 barrels/day from Saudis (which recently cut, citing lack of buyers) at prevailing price $70 and immediately sell short 400 contracts at $70. If I held my shorts to delivery (of physical), then the \"investors\" in oil would have to build storage tanks to accumulate the extra 400Kbpd, i.e. 12 million barrels per month. If I kept doing it for a few months, investors would have to keep building tanks to accept new oil or at some point choke on the supply of new oil and stop initiating new longs (buying new paper barrels of oil). Yet I would still be buying 400Kbpd from Saudis and selling short 400 contracts per day, which -in absence of \"investor\" buyers- would pressure the price down. And when that happens, the \"oil investors\" would incur a big loss, because they\'d have accumulated their hundreds of millions barrels inventory held in their tanks, at higher prices. The abovementioned scenario ofcourse assumes REAL \"wet barrel\" oil demand is stable (e.g. China\'s oil imports were down -2.2% in 2005). But, apparently it works differently for oil, because unless those 400Kbpd from Saudis are the exact type specified in the futures contract (as e.g. Brent is 0.4% of world\'s oil production, but is used to price 60% of world\'s oil), I can\'t do this kind of arbitrage at a scale that it would PROMPTLY affect price. That\'s probably why oil price is going up while producers claim they can\'t find buyers for their real \"wet barrels\" of oil. This \"feeding of barrels\" is happening and \"investors\" are hoarding it, which is why you see inventories rise, but it\'s an extremely slow process and meanwhile gullible consumer victims are forced to pay these obscene prices. Much as one would like to blame the OPEC cartel, we can\'t ignore the fact that the markets that create this broken pricing system are in NY (NYMEX) and London. Just what else can the Arabs do, other than say \"the market is oversupplied and over-priced\" as they\'ve been saying since 2005, or \"find me a buyer and I\'ll give him 2 million barrels/day\" ? If the consuming nations want to break this vicious circle, there are several options, country-to-country contracts being one of them. As for being a market bubble, I agree it is the case. But the issue here is that unlike a stock bubble, which one can simply ignore, we\'re all forced to be \"long energy\" and pay the price dictated by this broken pricing system! It\'s been THREE (3) YEARS of it already. One more week gone by, with oil closing above the $70/bar price (it\'s been 2 months already). Doesn\'t make headlines anymore and people seem to be \"accepting\" it (?). A poster at SETI\'s forum (here) asked me if I have an idea when the \"bubble\" will burst. I don\'t, primarily because I see incredible complacency by those being victimised (i.e. consumers) to the point I have to wonder about a hidden agenda (see my article on oil) and also because unlike stockmarket bubbles which deflate out of their own weight (nobody is obligated to buy a stock if he thinks it\'s overvalued), the KEY difference with a runup in vital commodities like energy is that there is almost inelastic, price-inensitive buying by the victims who need it. The runup in price of commodities due to \"investor\" inflows is not limited to oil and it\'s (IMHO) NOT because everything is suddenly running out (peak XYZ). It\'s just that it\'s the one which most affects most westerners\' everyday life. And because people notice the increase in its price (unlike many of the other commodities below). For comparison, I\'m attaching monthly charts of various commodities. You\'ll notice that those which enjoy almost inelastic, price-insensitive demand by consumer-victims held up their price quite well. Dimitris, you seem to have a solid grasp of economics. Have you studied the effect of oil price on the other commodities? I mean if price of oil goes up, it will cost more to run a tractor across a field and harvest sugar cane, or cotton or oranges... and electricity costs will increase which has a great impact on smelting of metals, precious or otherwise. I mean how much of the increase in the prices of these other commodities is directly attributable to the increase in oil prices? Message 19238 - Posted: 24 Jun 2006, 20:26:11 UTC - in response to Message 19189. Have you studied the effect of oil price on the other commodities? I mean if price of oil goes up, it will cost more to run a tractor across a field and harvest sugar cane, or cotton or oranges... and electricity costs will increase which has a great impact on smelting of metals, precious or otherwise. I mean how much of the increase in the prices of these other commodities is directly attributable to the increase in oil prices? This is a very good question and it sounds logical. In my opinion (being a participant in the markets for many years) is that it\'s primarily a FINANCIAL phenomenon, initiated by the tsunami of paper money and credit, unleashed by the world\'s central banks, starting back in 2002. Basically it\'s been just monetary inflation via an explosion of paper money and credit. Official reported inflation was masked mostly by changes in the CPI (if CPI were calculated as in 1980s, inflation would stand at 8% yoy) but also in part by the deflationary forces of globalisation. In the process, we experienced a \"Flucht in die Sachwerte\" by more savvy investors. So WHY do some commodities rally but others not e.g. cotton or corn or wheat or coffee? By now you\'ll probably have put the pieces in the puzzle, by noticing that the commodities which enjoyed big price increases (and held onto those price gains) were the ones which are either STORABLE (base and precious metals) or had a BROKEN price discovery mechanism (as in my opinion has oil, with no link between futures and spot and priced off futures). So, basically in all cases the rally in prices has been due to \"investor\" (\"speculator\") money inflows. Obviously for those commodities where storage is too cumbersome and/or rot/decay/decompose etc it didn\'t work so well. Btw, orange juice is in fact \"frozen concentrated orange juice\", which is why it\'s storable and it worked. Also, don\'t think that e.g. cocoa supply caught up with \"demand\" and brought the price down (you know, from the billionz of Chinese and Indians who suddenly found out the joys of drinking hot chocolate as the media of mass deception would say :-), because a cocoa-tree needs about 5yr to grow. Finally, you\'ll also notice, that e.g. natural gas, which is FUNGIBLE for oil in many applications, has dropped quite a bit (-65%) since Dec-05, as storages are full and they have no room to put the extra production! Yet oil has held to its entire gains. Oil prices have climbed steadily since 2004, and today they rose again to new record highs of more than $74 a barrel. What\'s driving prices -- and can they be brought back down? Government officials and oil executives from more than 65 nations will be asking those same questions when they gather in Qatar on April 22-23 at a meeting of the International Energy Forum. Among the factors driving prices up are fears over possible supply disruption in major oil-producing states such as Iran, Iraq, and Nigeria, where a rebel offensive has cut off one-quarter of output. PRAGUE, April 20, 2006 (RFE/RL) -- RFE/RL spoke with Leo Drollas, the deputy director and chief economist of London\'s Center for Global Energy Studies. RFE/RL: The price of oil continues to climb to record highs. Analysts say fears over the Iranian nuclear crisis is one of only several issues driving up prices. Iranian President Mahmud Ahmadinejad only strengthened those fears on April 19, when he said oil prices are still below their true levels. What\'s your take? Leo Drollas: The first thing we must say is that these high prices are really paper prices, in a sense for paper oil, they\'re not the prompt market -- that is, for real wet barrels, as we call them. So they\'re obviously driven a lot by news and by sentiment, and they refer to oil that is bought and sold months ahead through paper contracts. And these prices move quite quickly on news, and the news is bad at the moment for oil because of the Iranian standoff, because of problems continuing in Nigeria, and many other factors in the market. RFE/RL: So you\'re saying that, beyond fears over Iran or supply disruptions in Nigeria, the futures market is driving up prices? Drollas: There\'s a lot of money that has come into the oil market over the last few years. The money that is now tracking commodity indices has increased from about $8 billion in 2001 to about $70 billion today. So we\'ve got a huge influx of money into commodity-tracking indices, and a large part of those indices of course refer to oil. So we\'ve got a lot of speculative money or hedge-fund money or other kinds of investors coming into oil, thinking they\'re on a roll now and that oil prices will forever increase. And in a sense, this tends to fulfill the prophecy, as long as the money keeps coming in. RFE/RL: How does that drive prices, exactly? Drollas: What tends to happen is that the futures prices, especially for months further out, tend to rise, and they create a difference between future prices for outer months and spot prices for oil, especially for \"wet\" barrels. And this differential encourages people to buy physical oil, and therefore, the pressure from the futures market is transmitted to the actual spot market for oil. RFE/RL: But isn\'t capacity part of the problem as well, both in terms of the actual supply of oil and the fact that, particularly in the United States, refining capacity is down, with some refining facilities still not fully recovered from last summer\'s Hurricane Katrina? Drollas: Well, this is the huge, unanswerable question as to what component of this price run-up is due to speculation, as we call it, or due to real fundamental factors. My own gut feeling is that maybe $15 [per barrel] or so at the moment is due to these kind of pressures from the futures market, from speculation if you like. In other words, the price should have been quite a bit lower than that, because there isn\'t actually a physical shortage of oil at this very moment. RFE/RL: So this gets us back, perhaps, to emotions -- to fears over possible supply disruptions due to crises in key producing countries, such as Iran, Nigeria, Iraq. Drollas: Of course, the fear is there because of these factors: Iran and Nigeria in particular, and also Venezuela to some extent in the background. But one must bear in mind that there is a physical problem too, in the sense that the spare capacity to produce crude oil in the world is under 3 percent of global demand for oil. And a business that runs with such little spare capacity is vulnerable to all kinds of events that make people worry or fear whether the system is able to cope with the pressures that are put on it in, let\'s say, the autumn or the winter that we have ahead of us. More stuff posted in the mainstream media about this. Basically, I think everyone who has done his homework knows the oil price spike is due to \"investor\" demand. As long as -due to small spare world production capacity for THOSE PARTICULAR CRUDE OIL TYPES- investors control the \"marginal barrels\" of the oil type used for physical delivery in futures (light sweet crude), they can set price to just about anywhere. The question is whether something ought to be done about this bleeding of ~$500-$600bn/year from western nations into the hands of oil producers (at current prices it\'s going to be even more). Since early 2005, the crude-oil market is in what traders call contango, meaning futures contracts for a given product are priced higher than that same good for near-term delivery. The price of oil to be delivered four months from now is about $3 more than oil to be delivered next month. In short, it pays for refiners and other oil-market players to buy and hold oil now to sell it down the road. Making that trading opportunity possible, says Colorado-based oil analyst Philip K. Verleger, is the huge volume of new buyers on the other side: investors who he estimates have put more than $60 billion into U.S. crude-oil futures since 2004. Indeed, San Antonio-based Valero has been operating with its crude tanks full since the start of the year. When the market is in contango, \"you tend to operate at the top of your tanks,\" says Bob Beadle, Valero\'s senior vice president in charge of crude oil, supply and trading. Mr. Beadle estimates that in the U.S., the difference between the industry operating at full tanks and at minimum operating levels amounts to as much as 75 million barrels of oil, or about three days of supply. There\'s tons of explanations of why the price is so high and won\'t come down. Listening to the radio, or reading the paper, I gather that the \'glut\' of storage oil on the market has now affected OPEC so badly that they\'re storing oil in old tankers (and running out of them!). They\'re looking (begging) for people on the open (spot) market to buy oil. Inflation, inflation everywhere! Pretty soon, the producers are going to have to start ramping back, correct? And when that happens, the price IS gonna be pretty much set in stone, correct? Most of the charts and articles you\'ve referenced here reflect the month of April, and they mostly talk about the Western world (specifically the US). 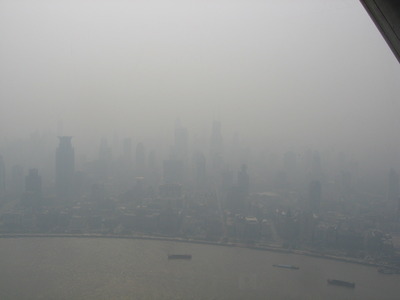 What\'s going on in China? And to a lesser extent, India? Things haven\'t changed much in three months. It\'s such a fast changing world, too. Interesting conclusion about the price of \'storable\' commoditites. In fact, things like copper, gold, and silver are smelted. That is done in electric furnaces (they get their power off the grid). Most power plants are coal fired, or nuclear, or to a lesser degree natural gas, and although there has been a recent spate of accidents reflecting the recent \'renewal\' of coal mining (the old plants will be getting older yet), and the nuke boys have been warming up their throats in congress (they still can\'t figure out what to do with the radioactive waste they generated from the first plant they built), I just don\'t see the correlation. All commodities have to be shipped from the point of origin to the point of sale, some may have more stops along the way, but food will always be more valuable than gold when push comes to shove. I\'m not an economist, but I would say those \"orange\" people have something to do with whats going on, too! Maybe these \'speculators\' ain\'t so happy that the world is going flat without them? This is my perception, (remember, I\'m not an economist, but it doesn\'t take one to manipulate a market, just a bunch of willing/gullible people). If the price of gas is 1.50 a gallon US, is there enough incentive to invest/produce hydrogen fueled cars that require not only a major combustion engine modification but also a brandy new distribution system? Ethanol requires refining, and you can\'t do it in conventional refineries (and you\'re messin\' with people\'s food supply too). Sunshine is expensive to convert into motive force (it has been said that a solar panel at todays efficiency never really ever pays for itself). Oil is an already existing commodity, controlled by a bunch of people we don\'t/won\'t trust. Maybe we do, or maybe we don\'t need new technology in those areas, but it has to be able to pay for itself. Another interesting thing is that the European price for fuel has always been a lot higher than the US. I remember paying something like 4.50 a liter in Italy 10 years ago. Is that right? What really bugs the heck out me is that I can buy gas at one station for 1.67 and across the street it\'s 1.73, or drive 20 miles to another town and pay 1.83 a gallon at the same brand name station that sells it for 1.67 in my town! Needless to say, the cars are always lined up at my gas station, I haven\'t seen any out-of-staters yet, but they are probably on the way! So, my question is what mechanism could you use to artificially inflate the price of light sweet crude and sustain it, in order to develop new technology that will in the end, defeat it? And to further aggravate the question, who would be developing the new technology? Hate to be an outsider holding on to a bunch of light sweet crude when that happens, but either way, someone is always living behind a dumpster at a 7-Eleven. I don\'t mean to minimize anything you\'ve said or done here, like I said, I\'m not an economist/investor and you are from the sounds of it. I do have these perceptions, and I\'ve not heard a lot of talk about it except for the marketers trying to sell E85 cars, or hybrid cars, or fuel additives...... So please don\'t be offended if I sound radical, or way out in left field (I am an under-educated kook who can read). You\'ve turned on a spotlight to the situation, I\'d like to understand the mechanisms that can make it happen.